Buy it at your Local Comic Shop! Sibylla always wanted adventure, but she didn't know it would come in the form of a giant, magical bull. Is he a man or a monster? And who knew a prophecy could be so literal? 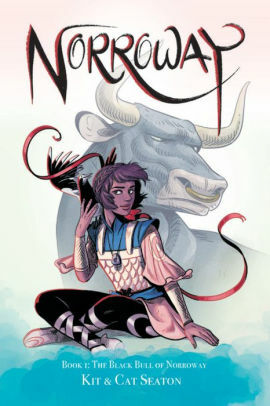 The first title in a new series co-created by sibling writer/artist team CAT SEATON and KIT SEATON, begins the adventure of a lifetime.